Time-lapse recording is now available for Android! Easily capture in-app video of your drawing process to share with your network. We also removed the Sign In requirement for many of the advanced features. 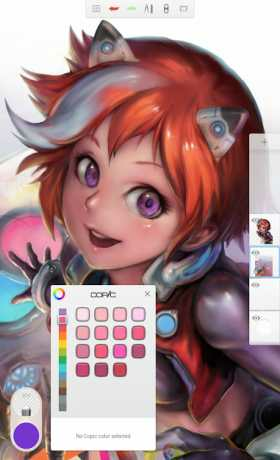 Now, just download and discover a more powerful drawing app, without signing in. 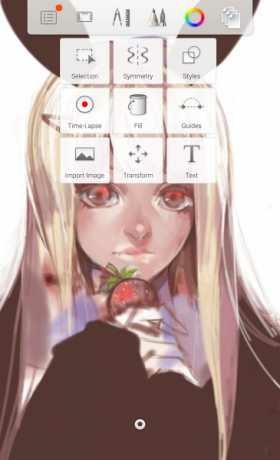 We’ve also made it easier to import your traditional art onto a layer in SketchBook with Import from Camera. 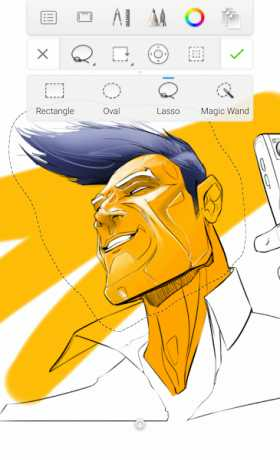 Snap a photo of your line art and start coloring in SketchBook. Sketch, create line art, paint – discover an authentic, natural experience as close to pencil, pen, marker, or brush on paper as a digital art tool can be. Easily organize your artwork in SketchBook’s Gallery with multiple view options, albums, and flexible ordering. You can save to and store your work on Dropbox. SketchBook membership is supported across platforms – existing members automatically unlock advanced features by signing into the app with their SketchBook account credentials. Visit www.sketchbook.com to learn more about SketchBook memberships and sign up for an account.